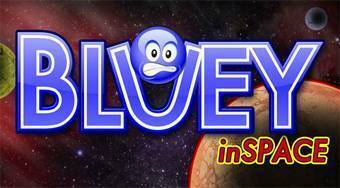 Do you like Bluey in Space? Share it with your friends. Bluey in Space - placing objects from the lower bar on the game field make the little blue ball get over all obstacles and reach the space shuttle.